Philip Thomas, CEO of Ascential Events at the Money20/20 Asia Press Launch. Philip and his team are currently preparing Money20/20, a concept that saw its 6th edition in Las Vegas last year and its first appearance in Copenhagen. In 2018, Money20/20 Asia will be coming to Singapore. 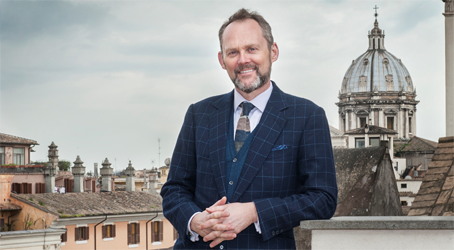 Philip is confident that this event will attract 3,000 visitors for its first edition. Why is he so confident that the first Asia edition will attract a substantial crowd? “Like marketing, the financial sector is changing rapidly and dramatically. When we started in Las Vegas 6 years ago, we attracted 3,000 visitors for the first edition. By now this has gone up to 15,000. Fintech is quickly becoming a very important topic that touches the livelihoods of many, ranging from customers all the way up to traditional banks. Going back to Spikes and Cannes, the advertising and marketing landscape is changing dramatically, as you pointed out. To what extent does that affect the formula of these events? Do you see changes among the sponsors and businesses that you attract as a result and could you name a few that are successful in mastering these changes? “We definitely attract players outside the traditional agency and consumer brands area. We get interest from media owners, film makers and music publishers and even start-ups. This is proof of the changing and more intermingled advertising and marketing landscape. We attract also tech players like Oracle and Adobe and internet giants like Google and Facebook. I want to be careful when naming agencies or companies that get the new data and content paradigms. What I will say is traditional consultancy companies like PWC, Accenture and Deloitte are moving into the agency area. They have traditionally a strong understanding of businesses and organisational transformation, which they now start combining with technology and creative services. They are also very aggressive and are quickly making inroads into the traditional agency space. What was your best edition of Cannes Lions so far? But isn’t Cannes getting too big? Which brings me to the opposite trend, quite a few festivals are in decline. The organisers invariably resort to co-hosting events that were previously independent. Some refer the changes in visitor behaviour. They rely more on social media and online communities to inform themselves and socialise among peers. Do you see a similar trend in your portfolio of events? But what about VR? The other day I participated in a meeting where some people joined from another country. Through a VR headset these people would be projected as sitting right opposite of me. I must admit it was a scary good proxy for a face-to-face meeting, until the moment we tried shaking hands. How do you run marketing for Money20/20? Does the fact that Ascential has Cannes Lions in its portfolio help? 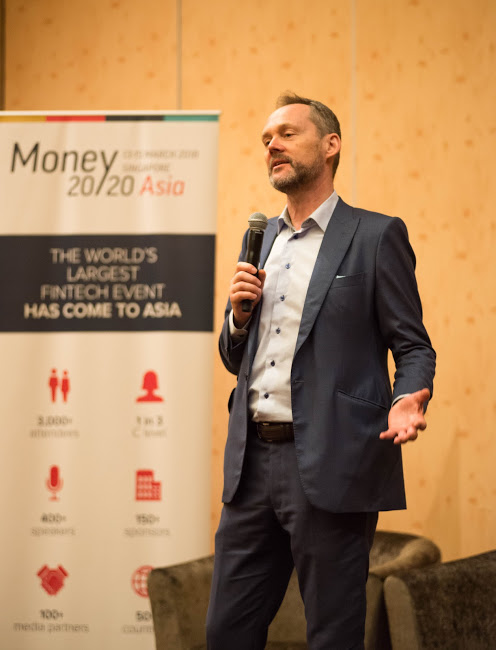 How is Money20/20 Asia shaping up and where will it be held?